Fourteen Sanskrit writers awarded for their contributed to Sanskrit. 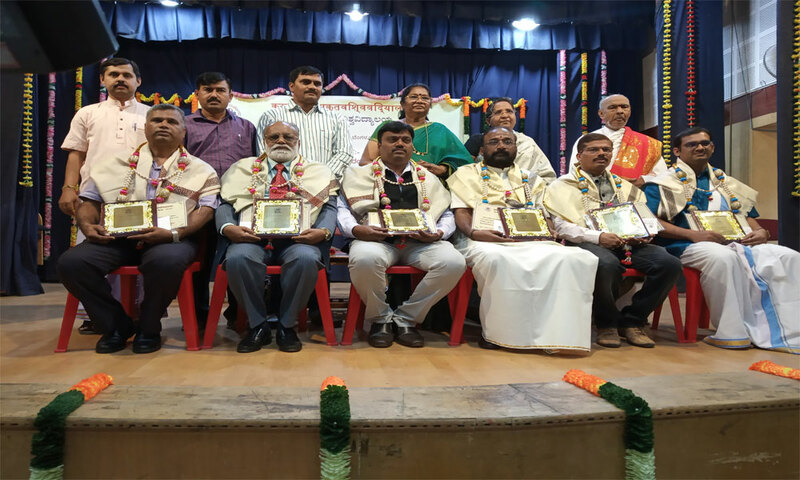 At the Kannada Sahitya Parishath awards held at Karnataka Sanskrit University, fourteen Sanskrit writers were awarded for their contribution to the Sanskrit language in the year 2017 as well as in 2018. 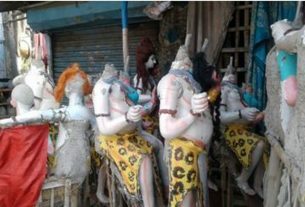 The award ceremony for Sanskrit literature writers has been a yearly feature since 2011. The most noteworthy awardee, was Prabhu Swamy who was awarded for his work in Sanskrit literature for writing ‘Shivatatvarachnagara’ which stand for cultural and scientific studies of Sanskrit. Chief Guest and the International Sanskrit scholar K.G Subbaraya Sharma said, ” Sanskrit is an eternal language. It is a language of the gods. Sanskrit is also known as the language of the Vedas. It is known as the mother of all languages. Sanskrit is present in all languages be it Kannada, Telugu Tamil, Urdu. 90 percent of Hindi derived and influenced by Sanskrit. By running a Sanskrit School, Vice Chancellor, Prof Padma Shekar is doing a very good job. This is not just any Sanskrit University but Karnataka Sanskrit university and wherever the people of the university go, they will uphold the name of the university. During Elections, Social Media will be Severely Curtailed.